#261 A Tale Of Two Cars. 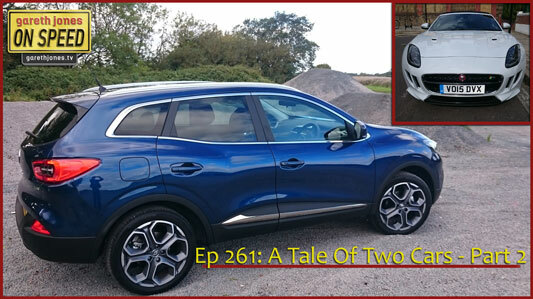 Pt2 Gareth shares the dramatic soundtrack provided by the breath-taking Jaguar F-Type R AWD and discovers the accomplished Renault Kadjar. Plus, car theatre, music in cars, a rock ‘n roll adage, and what would Bruce Forsythe say?